Having a website for your home business is an absolute must. Today, your clients and customers are more likely to use the Internet to find you, than the phone book. The good news is that with all the free and easy website tools available, it is simple to get a website up and running. But before you can get your website online, you need to buy a domain name. 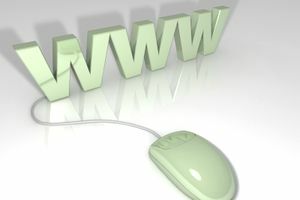 Here are tips and things to consider when choosing your website domain name. Your website name should be a reflection of either your business name or what your organization does (i.e. lawncare.com). In most cases, you want to brand your business name, so ideally, you want your website to have the same name as your business. For this reason, you should check domain availability of your business name before officially naming your business. You don't want to go through the process of registering your home business only to discover the domain name isn't available. If you're a freelancer, you can use your given name (i.e. SallySue.com), if that's what you want to brand. If you have one product and that's what you want to brand, you can do that as well. Use keywords related to your business. Keep it short and easy to remember. Domain names can be any length up to 67 characters, but longer names are more prone to entry mistakes, which results in lost traffic. Avoid using numbers or homonyms which can be hard to explain (for example 4stuff.com, fourstuff.com or forstuff.com). Don't make it so narrow that you can't expand your business, unless you're okay with buying another domain and building another site for other products or services. If in order to come up with an available .com website name you are compromising your business name or creating something too long or complicated, consider going a different direction or choosing a different business name altogether. You should always choose .com over other extensions as it's the most popular and the one your market is most likely to remember. The question arises when your domain name choice isn't available with .com, but it is with .net or another extension. Should you go with that? Most experts say "no." For one, as already mentioned, your market might forget your alternative extension and use .com. Second, the unavailability of .com suggests there is already a website with your name. It can be hard to compete with an existing site of the same name, especially if your market is accidentally going there because they used .com instead of .net. Add a word such as "the" or "a" (i.e. TheYourBusinessName.com). Add your given name (i.e. SallySueYourBusinessName.com). Add or use your tagline or slogan. If the domain is taken, you can monitor it for availability, but who knows how long you'd have to wait? If you're ready to build your site and start your home business, you're better off choosing a different domain name. Should You Buy More than One Domain Extension? As already stressed, you should buy a .com domain. The question is, should you also buy your name in .net, .biz, or any of the other options available to you? The reason to consider it is to prevent others from buying them and siphoning your traffic. While it's true, more people are likely to mistake them and come to your .com site, depending on how clever these people are in marketing, they can lure the market to their sites. Many registrars offer discounts for buying multiple extensions of a domain name, so it's worth considering. If your business is a sole proprietorship or you're a freelancer, it is a good idea to register your given name too. Domains are inexpensive and registering multiple extensions shouldn't be cost prohibitive. Multiple domains could result in marketing flexibility down the road. Step #2: Enter your desired domain name Locate the search box on the providers home page and type in your business name. It will generate the domain results for what is available. Please note that you can search for free on these sites to see what domains are available. These sites all have access to the same information. For example, if your domain isn’t available on Godaddy.com it won’t be available on Domain.com. If the domain isn't available, you'll be provided a list of alternatives related to the name you submitted. You can look these over, but remember, you want your domain name to follow the guidelines listed above. Step #3: Buy it Domains go quickly, so if your domain choice is available, don't delay, buy it. The registrar will walk you through the process. Considering setting automatic renewal so you don't lose the domain by failing to renew the next year. Or you can buy multiple years, usually at a discount. A note about domain privacy: Most domains charge to add privacy to the domain name. This means that your name and contact information (which is required in registering a domain) won't be available when people search for information about the domain in WHOIS or at ICANN. (Some hosts offer free domains and privacy, but you may not want to go this route as there can be a question about who owns the domain and problems if you want to sever ties with the host.). The disadvantage to not having privacy is that many web design companies search for new domains and will contact you about building your site. Generally, there isn't too much of this and usually stops once you have a site up. Another disadvantage is that your contact information is online and available for anyone savvy enough to find it. But there is some thought the having privacy may also have it's own issues. Aside from the cost (about $9 per year), hiding your identity might make some sheepish about doing business with you. As you can imagine, scammers use this service to make it difficult to find and report them. Also, there has been some idea that there could be a question of ownership if your name is not associated with the domain at WHOIS (database of all domains). Finally, while you might have your information associated with your domain private, chances are it's available elsewhere anyway, such as through social media. Ultimately, you have to decide for yourself if you want to add private registration to your domain. Step #4 Connect your domain to your web host. If you're using a free host (not recommended) you can forward your domain to your free URL. That means when people type in your domain (yourbiz.com) they'll be taken to your free host (yourbiz.freehost.com). The best option is to buy web hosting and then provide the domain registrar with the nameserver information. Your web host will provide you with this information. It can take up to 24 hours for your domain registrar to forward or adjust nameservers.